t20 > news > The boys are coming to town! Whether it’s dancing about on TV in frocks, featuring on the back page of the newspaper, or sliding into a pool of iced water in a mankini, one thing is certain, the cast of The Footy Show know how to entertain. So when Clint Hillas of Trafford Sports Marketing came to us with his plan to take the Footy Show on the road to regional Victoria this November, we knew there were fun times ahead. The concept for Footy’s Regional Roadshow is quite simple - get footy legends Bill Brownless, Garry Lyon, Johnno Brown and the ever controversial Sam Newman into a car and hit the road for 3 live theatre shows in 3 nights out in the bush. Each live show will feature stories from the boys exploits on the field (and-off), a crowd Q&A session, as well as some insider information on the upcoming AFL draft from footy’s premier news breaker, Damian Barret. We also introduced Trafford Sports Marketing to our longstanding client Thirsty Camel bottleshops, who saw it as a perfect fit with their customers. 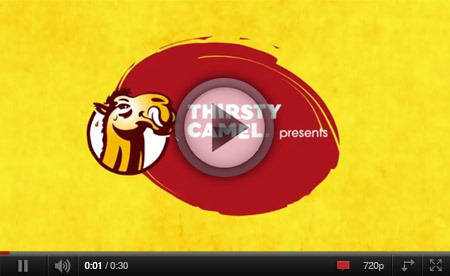 Subsequently, Thirsty Camel took the opportunity to become naming rights partner for the event, and Simonds Homes, another of T20’s valued clients, came on board as a supporting partner. We’ve had a great time working with Clint and Trafford Sports Marketing on this exciting event, and can’t wait to see the show.